What information does LanganBach Services collect? When you register with the LanganBach Services web site we ask you for information such as your name, address, email address and telephone number. As well as our website, we collect information in a number of ways through forms completed by you, email correspondence or general enquiries by phone, fax or a face to face meetings together. Data is stored on our computer system and other IT systems, e.g. email system. All data is shared internally. Data may also be shared with third parties through business transactions. Data in this instance will be protected through confidentiality agreements (NDA’s). 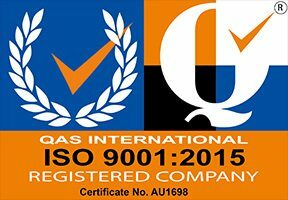 As part of our Quality Management Systems (ISO 9001:2015) we have controls in place to ensure that all data is protected at all times. All staff are fully trained to protect data from accidental disclosure, deletion or misuse. How long does LanganBach Services keep data? LanganBach holds your personal data until you request its removal from our systems. If a request is made we will act upon it immediately, mindful of our legal and statutory obligations. You rights under Data Protection Laws. If you would like to exercise any of these rights please contact Geraldine Langan, geraldine@langanbach.ie.